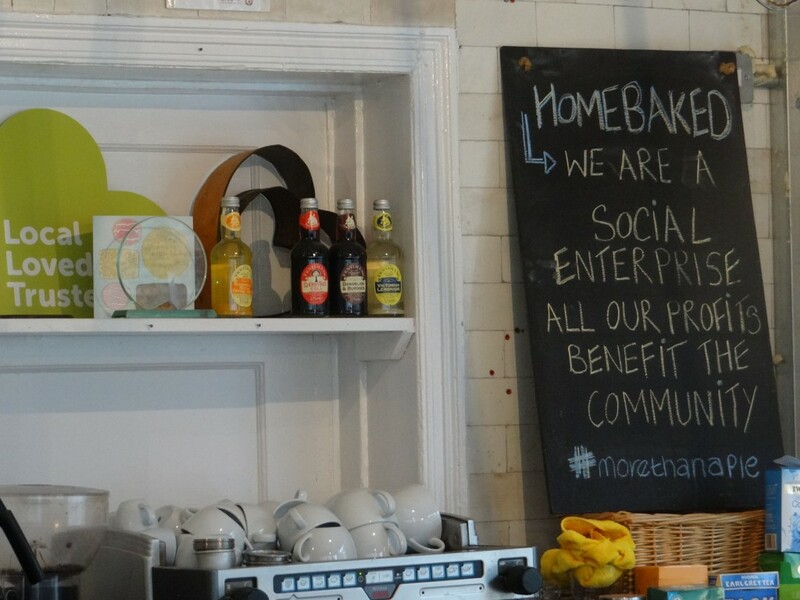 Homebaked is a co-operative bakery and community land trust located in Anfield, just opposite Liverpool’s football club on the premises of the former Mitchell’s Bakery. Last decade, the area was waiting for demolition but the plans were stalled and the neighborhood fall into decline. Jeanne van Heeswijk, invited by Liverpool Biennial, worked with Architects URBED and a group of 40 young local people in the project “2Up 2Down”, designing four new homes and rethinking the future of their quarter. Together with the community, they re-modeled a block of empty property implementing an affordable housing scheme, bakery shop and kitchen, meeting and project spaces. 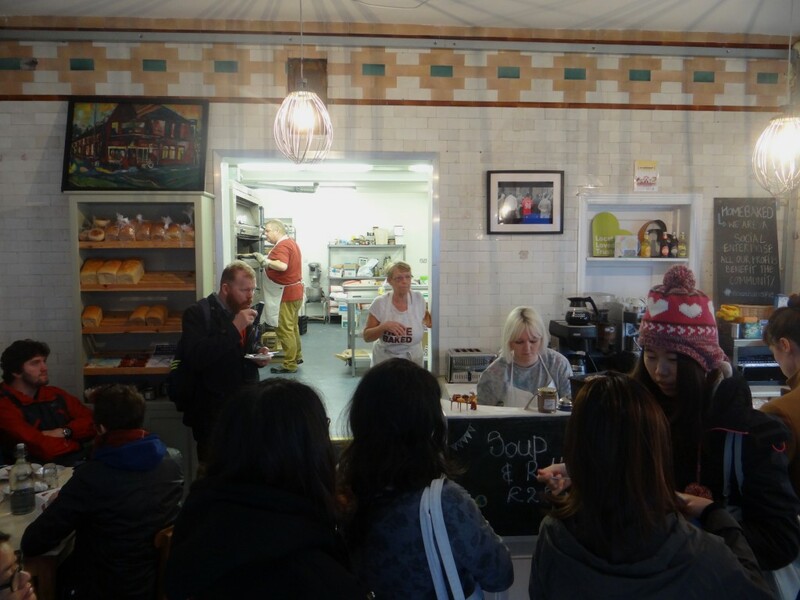 In 2012, the group of volunteers and participants did set up Homebaked Community Land Trust to enable the collective community ownership of the properties, and a co-operative business to reopen the Bakery as a social enterprise. 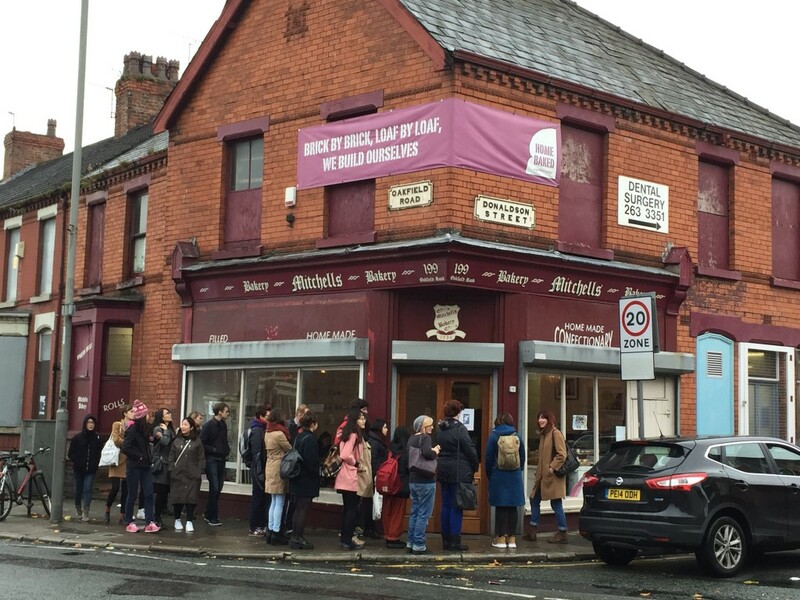 Today, the bakery is open as a social, independent and sustainable business 6 days a week. It is a meeting point to gather the community that now have a strong voice for future developments. Nowadays, they are promoting participation in the decision making process about the design for news houses in the area (Homebaked Favorites wall). Jeanne van Heeswijk, Architects URBED and other design specialists, Sue Humphreys and more than 200 participants.